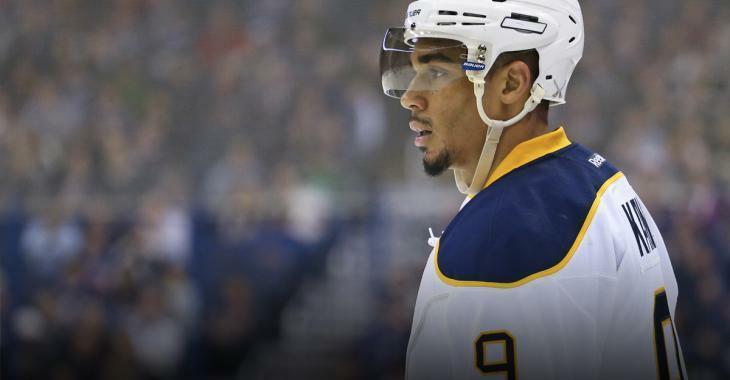 It is no secret that Evander Kane is on the trade market. Just about every single player on the Buffalo Sabres roster could be had if the price is right. According to Elliotte Friedman, Kane is the player to watch on the market right now, and he has gathered intel on what the ask is from the Sabres. The belief is that Kane is better than either of these two players, and worth more in a trade. Therefore, one could reasonably assume that a trade for Evander Kane will cost a first round pick, and a combination of a strong prospect or a good roster player under contract, and more picks. The prices for Ladd and Hanzal were quite hefty - it isn't believed that it'll be a 7-piece return like the Matt Duchene trade, but it will likely be somewhere between 3 and 7 pieces. What would your team have to give up for Kane, based on that ask?